CHICAGO -- Chicago now gives at-risk inmates the overdose-reversing drug naloxone upon their release from jail and Los Angeles is poised to follow suit, putting the antidote in as many hands as possible as part of a multifaceted approach to combatting the nation's opioid epidemic. The Cook County Jail in Chicago, which is the largest single-site jail in the country, has trained about 900 inmates how to use naloxone nasal spray devices since last summer and has distributed 400 of them to at-risk men and women as they got out. The devices can undo the effects of an opiate overdose almost immediately and are identical to those used by officers in many of the country's law enforcement agencies. Sheriff Tom Dart, whose office runs the jail, said addicts are most at-risk of fatally overdosing in the two weeks after getting out because of their time away from drugs while locked up. "We've got to keep them alive (and) if we can get them through that two-week window, they might get treatment, get off drugs," he said. Dr. Connie Mennella, the chair of Correctional Health for the county's health and hospitals system, which administers the program, said only inmates are being trained to use naloxone, but that she eventually hopes their relatives and friends can also be trained. "We are trying to saturate this community with this drug and we are educating them to tell their buddy, mother, father how to use it, where they keep it and, 'If you come home and see me not responding, to go get it and use it,'" she said. Proponents say such jail programs can be the difference between a former inmate living and dying, as the naloxone often can be administered by an overdosing addict, a friend or family member before emergency responders can reach them. And Dr. Arastou Aminzadeh, the correctional health-medical director for the Los Angeles County Department of Health Services, said the kits are particularly important for just-released inmates because the same amount of drugs they once used to get high before they were locked up could now kill them. "Their threshold has dropped but they may use the amount of drugs they used to use," said Aminzadeh, who is helping Los Angeles jails prepare to begin its naloxone program early next year. It is too soon to gauge the effectiveness of Cook County's program, but Dart said anecdotal evidence suggests that the kits have saved lives, including a man who was arrested again, returned to jail, and told of how a friend he had trained to use the kit had done so when he overdosed. In New York City, more than 4,000 kits have been distributed to friends and relatives of inmates at the city's jail at Rikers Island since the program there was launched in 2014. "We did a survey of their use of the kits after six months and 226 people responded to the survey and found 50 usages (of the naloxone), and found that 87 percent of the overdoses where the naloxone was used, (the victim) survived," said Dr. Ross MacDonald, chief of Medicine, Division of Correctional Health Services, New York City Health and Hospitals. Others have also seen encouraging results. In Rhode Island, a study of 100 inmates found they were able to successfully administer the drug after being released, with a few using it to reverse their own overdoses. A study in Scotland, meanwhile, found that the number of opioid-related inmate deaths dropped within the first four weeks of release after naloxone kits were distributed. The growing consensus is that naloxone works. Three years ago, the World Health Organization released guidelines recommending expanded naloxone access to people likely to witness an overdose, including drug users. And the North Carolina Harm Reduction Coalition, which tracked the use of naloxone kits by law enforcement, reported that the number of agencies that equip officers with kits climbed from 971 to 1,217 in about eight months last year. 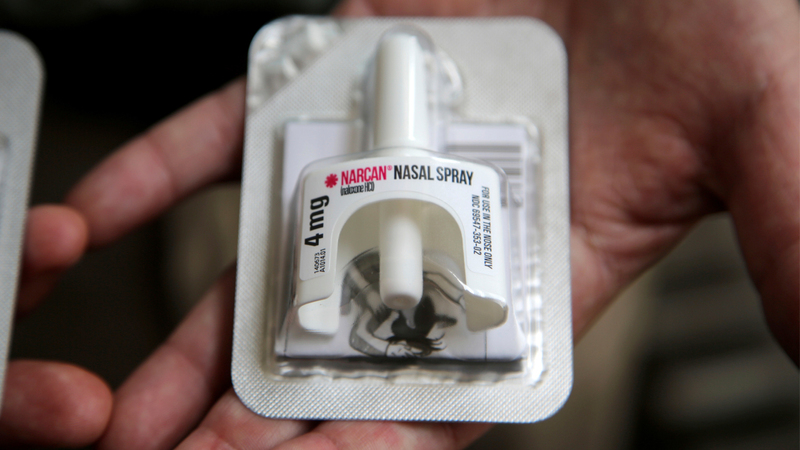 There has been little pushback against efforts to expand the availability and use of naloxone, but there has been some. Richard Jones, the sheriff of Butler County, Ohio, said this month that he was sticking by his long-standing policy of refusing to allow deputies carry the drug because he says people can become hostile and violent after being revived by it. Naloxone can cause severe opioid withdrawal symptoms. Dart dismisses the criticism that by giving the kits he is coddling inmates, saying that it is just one piece of a public health effort that includes intense treatment programs to combat the opioid epidemic. "Treatment is fine, but that doesn't recognize the reality that some will use (drugs) again. We can't get them into treatment if they're dead," he said.